Bergen, a charming city on Norway’s southwestern coast, is the perfect escape. Surrounded by stunning mountains and fjords, this World Heritage City is a great starting point to any Norwegian adventure, with many tours setting off to explore Fjord Norway every day. Why you should go: Full of history and culture, Bergen is different to your usual city break. 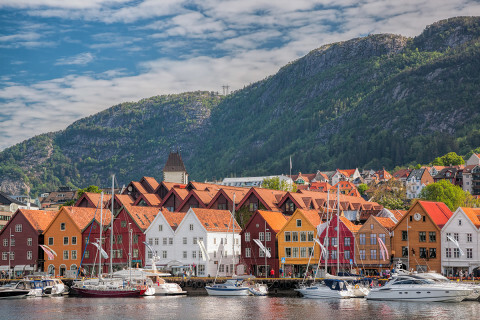 The Norwegian fjords and Bryggen are both featured on UNESCO’s World Heritage List, and the city’s impressive heritage – Bergen was once an important seaport of the German Hanseatic League – can be seen in the carefully preserved buildings and impressive museums. With the mountains forming the backdrop of Norway’s second-largest city, there are endless hiking adventures to be had. 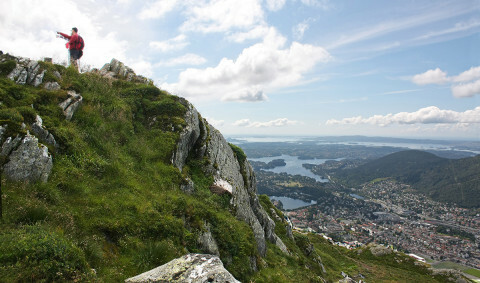 What to do when you’re there: Bergen’s seven surrounding mountains offer a wide range of walking trails for all abilities, from guided glacier hiking to tackling the region’s highest peak Mount Ulriken. 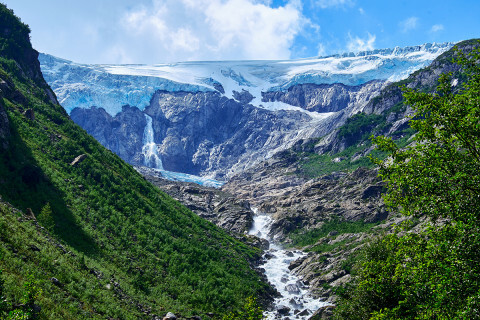 There are also plenty of day trips: choose from a kayaking fjord tour or island hop to Norway’s Westernmost islands, or take a 3-day trip to Folgefonna glacier! Recommended route: A funicular whisks you 320m to the top of Fløyen, one of the seven mountains surrounding the historic port of Bergen, for spectacular views across the city, fjords and islands on this route by Walkingworld Ltd. A good network of trails leads to a landscape of lakes and woods, and soon leaves the crowds behind. The best maps hiking maps: Click here to buy detailed 1:50,000 scale Kartverket maps for the entire Bergen region! Where to stay: Lone Camping offers a great range of accommodation just 25 minutes from Bergen, surrounded by nature. If you prefer to be closer to the action, the Marken Gjestehus is a great value hostel located in the heart of Bergen. Where to eat: Bryggen is home to many cafes and classic Norwegian restaurants. For a modern yet traditional experience, visit Bryggen Tracteursted. We recommend the city’s famous fiskesuppe! Interesting fact: Bryggen, translating to ‘wharf’, is Bergen’s oldest quarter and is made up of charming, colourful buildings, which date back to the 12th century. You can find many artist and boutique shops down the paths. Top tip: Bergen is known for its wet weather, so bring your coats and umbrellas! It has become a popular city for travellers, so book your accommodation early.